Tucson Reveal Party Saturday March 2nd 10am-4pm (sneak peek Friday night 7-9pm). PLEASE NOTE: we will be closing at 4pm Friday 3/1 to put out our Tucson Treasures (before we re-open at 7pm). Be sure check in at the FiveStars tablet to be entered in drawing for a $50 gift car. Ain’t Miss Bead Haven Bead Shop in Mooresville is the premier full-service bead shop in the Lake Norman area. We are just a short drive from Charlotte and the surrounding area. Whether you are an avid beader, in search of some much needed bead therapy, or enjoy collecting beads, you will enjoy our large selection of seed beads, bead strands, loose beads and charms. Be sure to plan extra time to browse our extensive selection of Handmade Jewelry, Beading and Jewelry making supplies. Let us make your Custom Jewelry Designs. Repairs welcome. Ain’t Miss Bead Haven offers classes and workshops for adults of all skill levels, beginner through advanced. You will learn about everything from color selection to soldering to metalsmithing. 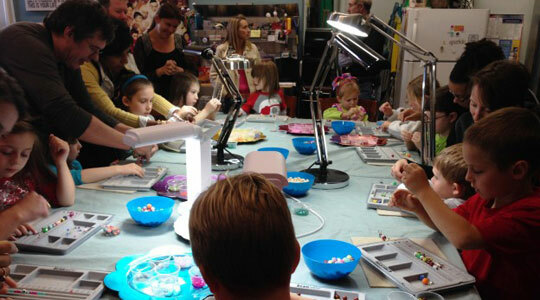 Ain’t Miss Bead Haven offers classes and workshops carefully crafted for children of all ages. Young students will have fun while developing manual dexterity and good workshop habits while cultivating imagination and creativity. 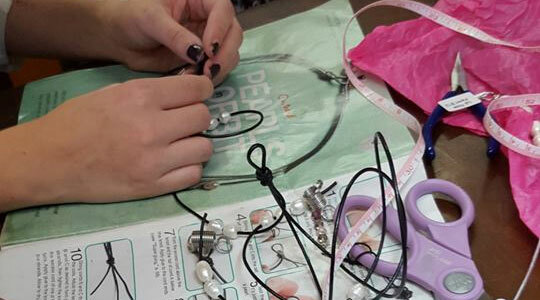 Ain’t Miss Bead Haven is the perfect setting for groups of adults or children to get together and participate in a creative activity that will provide a physical memento to cherish for years to come. We have the perfect intimate and relaxed atmosphere where, no matter what age you are, you can take your mind and soul to a space unfettered by the zany world we live in. It is the perfect escape!